HDMI finally announced its much-needed improvements to 4K support. 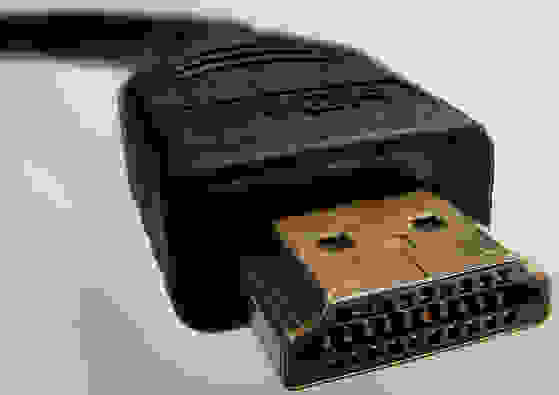 Introducing: HDMI 2.0. HDMI Licensing has finally announced a jump to HDMI version 2.0—a sorely needed improvement to the last major version update in May 2009. Likely in response to pressure from manufacturers and content providers looking to cash in on the anticipated 4K (aka UHD) boom, the updated protocol takes the amount of data that can be pushed to your brand new 4K TV and nearly doubles it to 18 Gbps. As such, HDMI 2.0 allows for full 3,840 x 2,160 resolution content to be displayed at a rate of 60 fps. What this boils down to for consumers is that when broadcasters and other providers finally catch up with 4K, your content will still be buttery smooth despite the increased resolution. In addition, the HDMI 2.0 allows for the simultaneous transfer of 32 audio channels to make sure the new standard is as pleasing to the ears as it is to the eyes. This move is great news for those looking to upgrade to 4K televisions in the future, but it still leaves early adopters wishing that HDMI moved slightly faster than the television manufacturers. Unfortunately, the HDMI protocol layer in televisions is inherent to the design of both the hardware and software of your television. So, if you're one of the few that already bought a 4K television, you are likely stuck at a frame rate of just 30fps. If you happened to buy a TV that was built with upgradability in mind (like Samsung's Evolution platform), you may be able to invest in an upgrade kit. However, that's only if the manufacturer of your TV makes one available. Introducing the new HDMI cable...same as the old one. Strangely, the only piece of your home entertainment center that will remain unaffected by the announced change are the cables. HDMI 2.0 will be using the same cables and connectors as its previous two iterations. Chances are that HDMI 1.3 or 1.4 cables will be up to the task, but it's worth mentioning that this isn't a guarantee: they're not technically rated for 2.0, after all. Either way, it's worth fishing those gold-plated premium HDMI cables out of the trash (we all make mistakes) to see if they really are safe for one more version.